PopCred sites use the premium MarketPress plugin for a complete store/shopping cart solution. 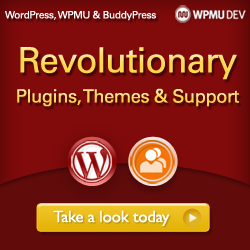 This plugin costs $17 per month if purchased directly. But it is included as part of the PopCred Expert Package for as little as $5.50 per month! To create this tutorial, I set up my own online store, right on another PopCred subdomain site. After you have created your PopCred network site, just use these seven simple steps to open your own online store. In a few minutes, you’ll be open for business! Login to your dashboard by going to yoursite.popcred.net/wp-admin. In the left sidebar, click on Appearance>PopCred Premium Themes. Find the MarketPress plugin and click Activate. Click on Settings in the MarketPress area. Remember, you’ll need a PayPal account! Your store is now ready to stock! Watch this video tutorial to get an idea of how simple this process is. Here are the MarketPress Installation & Use Instructions for further information. This worked like a CHARM. I carefully worked through each step and it works PERFECTLY! Thanks for the detailed information. I’m on my way! Previous post: What if Win-with-1 Is Not Right for You?